While there will always be a place in our hearts—and wardrobes—for black, for the past few seasons, we’ve made grey our go-to neutral. Its softer tone makes it more forgiving than its sleek and citified friend, and we love the endlessly sophisticated combinations we can create by layering different shades of grey, from gunmetal to stone and dove. Turns out grey looks pretty sleek in home décor, as well. 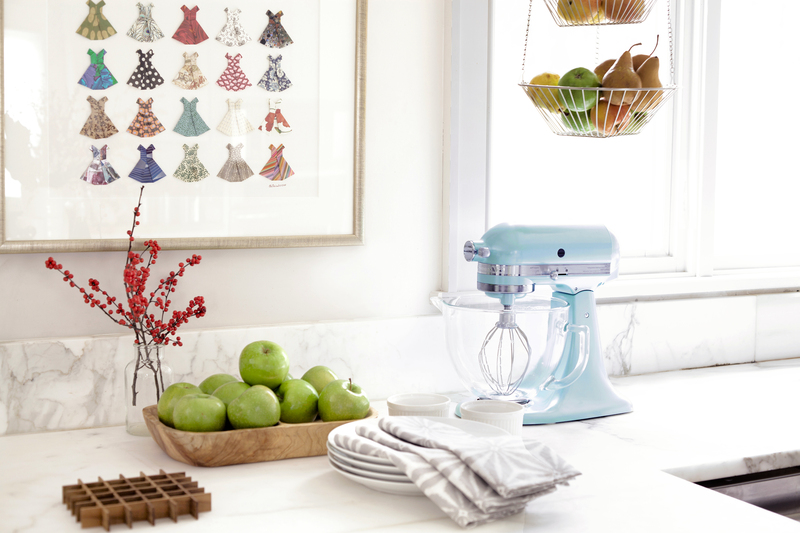 So what to do if you love the layered-neutral approach but are craving a dose of color? 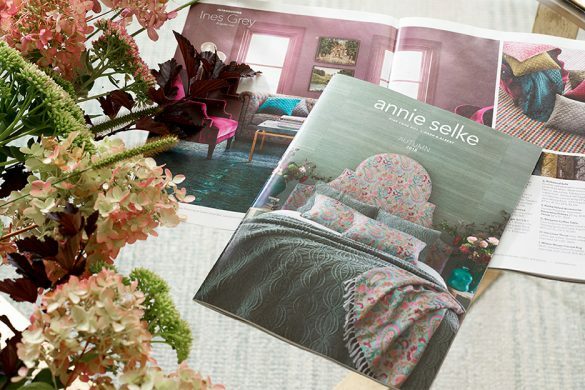 Check out Annie’s newest color-palette crush: grey and coral. Grey and blush are longtime favorites of Scandinavian decorators, and while we also adore that easygoing combo (stay tuned for a future post on these classic hues), we wanted to turn it up a few notches for sunnier days. Coral, which lives roughly halfway between pink and orange on the color wheel, is an inherently lively hue that warms up any neutral and gives it a happy glow. 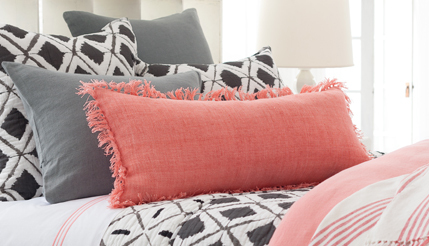 Said glow also extends to our complexions; coral is universally flattering, so it’s perfect for any space where you want to look your most vibrant and youthful (hello, living room and bedroom!). For an upscale, dramatic look, choose multiple shades of grey for the walls and largest décor pieces in the room—think sofas, tables, bookcases, duvets, quilts, rugs, and window panels. Be sure to layer in a minimum of two patterns. 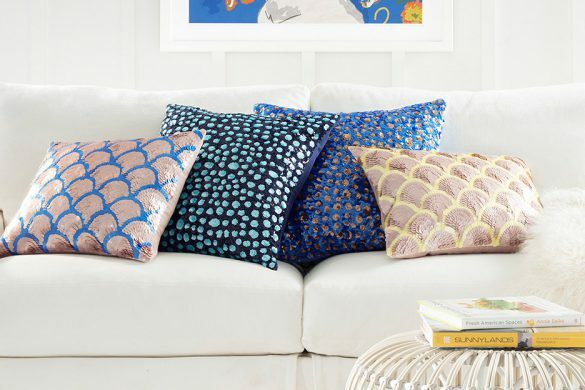 Then include solid coral (or a tone-on-tone print or embroidery) in a few well-placed accents, like decorative pillows, throws,vases, table lamps, or art and sculpture. 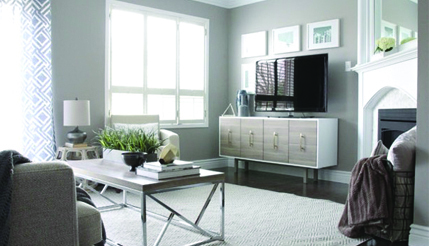 Don’t forget that silver and pewter are shades of grey in metallic form, and they look especially sophisticated here. 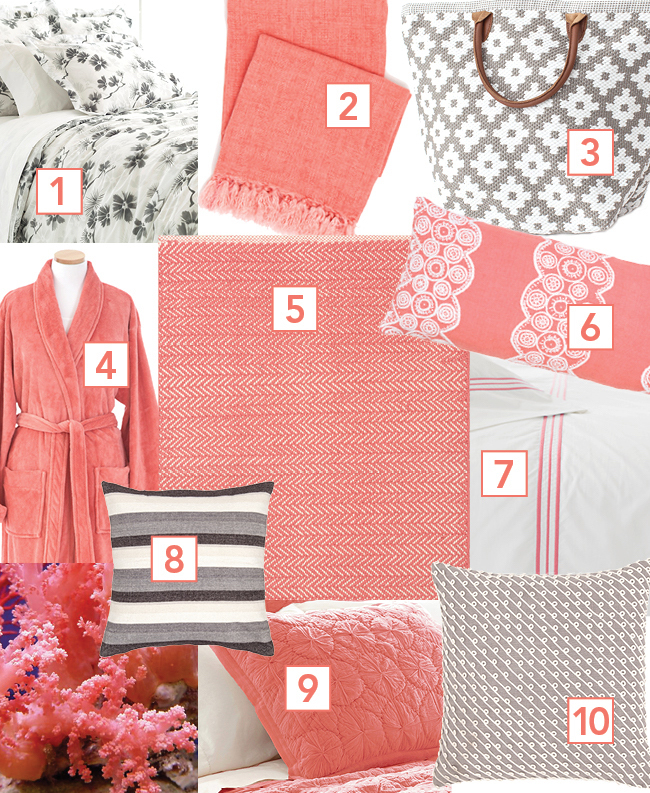 For an inspired-by-the-tropics look, reverse the scheme, and make coral your main hue. 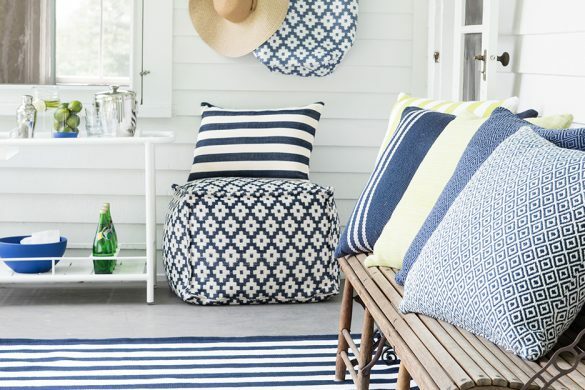 It’s particularly effective on walls and large textiles like quilts and rugs,where it offers a fresh, unexpected burst of color. 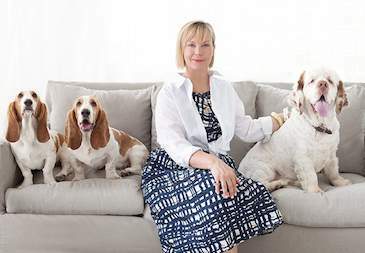 Keep it from going too giddy by mixing in pale and medium-tone greys in an array of textures—for example, a sweater-knit throw, a matching trio of embroidered or appliqued throw pillows, or wispy silk or gauzy cotton window panels. 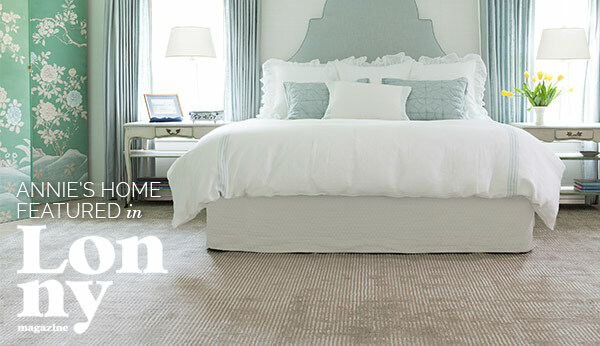 Add in decorative objects in a range of dark, medium, and light greys, or ombré patterns. 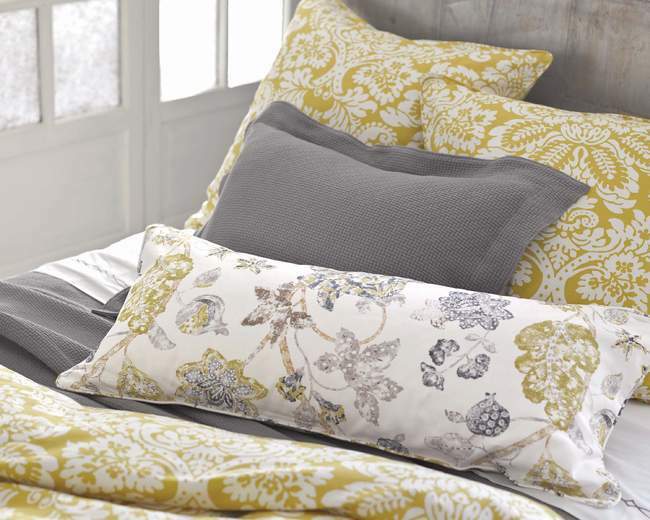 For an urban-Mod look, mix graphic grey-and-white prints on larger textiles, like duvets, bedspreads, or coverlets and curtains. 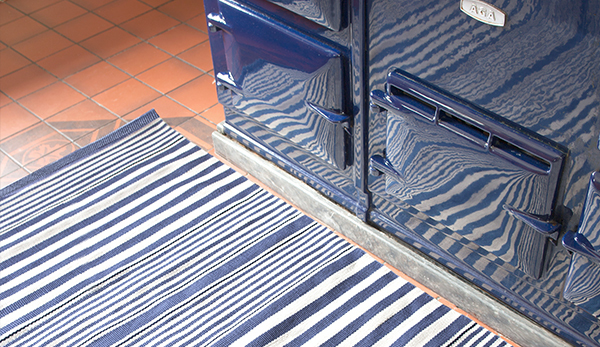 Offset these with a room-spanning coral rug in a solid or a subtle pattern. Toss in a few solid coral items, such as throw pillows and blankets in luxurious fabrics (linen is perfect for this time of year! 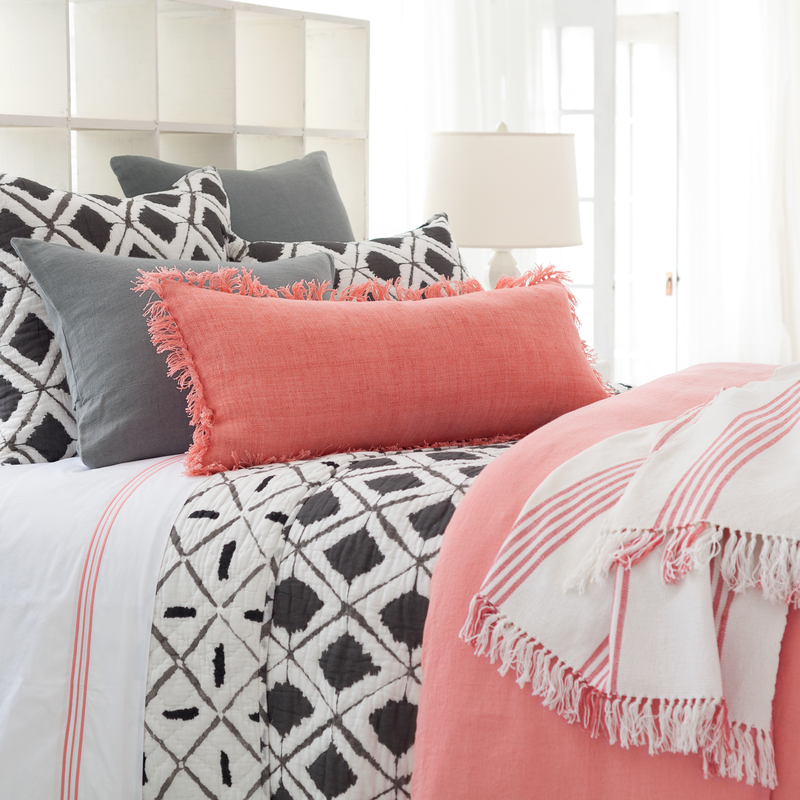 ), and echo the graphic two-tone approach with a couple of coral-and-white patterns. We love this look with whitewashed furniture or opaque white paint on the larger pieces; opt for silver metallic accent furniture (like end tables, benches, or floor lamps) with narrow legs, to keep the feeling light and airy. 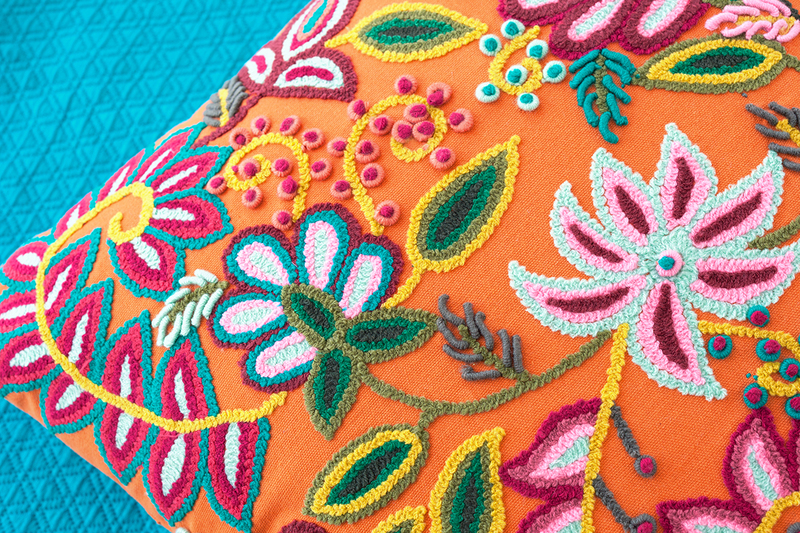 I am interested in purchasing the coral lumbar pillow in the picture on your website. Is this an item that is for sale?